Zorin OS on 32GB USB Drive | Linux DVD Shop - UK Linux Shop supplying Linux on CD, DVD and USB with Free UK Delivery, 24Hr Dispatch. 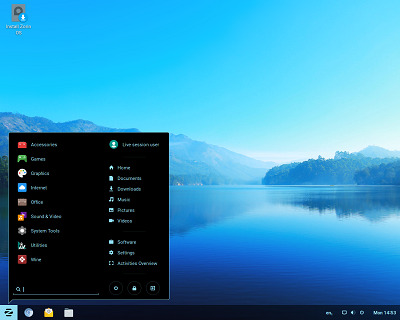 Zorin OS on 32GB USB Drive is an Ubuntu based distribution which is designed to have the look and feel of a Windows graphical user interface and comes with many programs similar to those used in Windows. It is therefore a great distro for newcomers to Linux as well as those who prefer the familiarity of Windows.